(Natural News) Old age is a gift people who took care of their health during their youth give themselves. Seniors who didn’t smoke, drink too much alcohol, and practiced clean living among other healthy practices when they were young, reap the rewards of their efforts decades after. Optimistic ones also live to see their grandchildren and attend more family reunions. Having gone this far, seniors and their loved ones focus more attention on quality of life. After all, one slip in the garden while watering plants can fracture or dislocate bones. One fall in the bathroom can immobilize seniors for the rest of their lives. A group of researchers shed light on the reasons why older adults experience muscle loss, and therefore become frail and weak. Their findings suggest that muscle wasting in older adults comes as a result of changes in the nervous system. 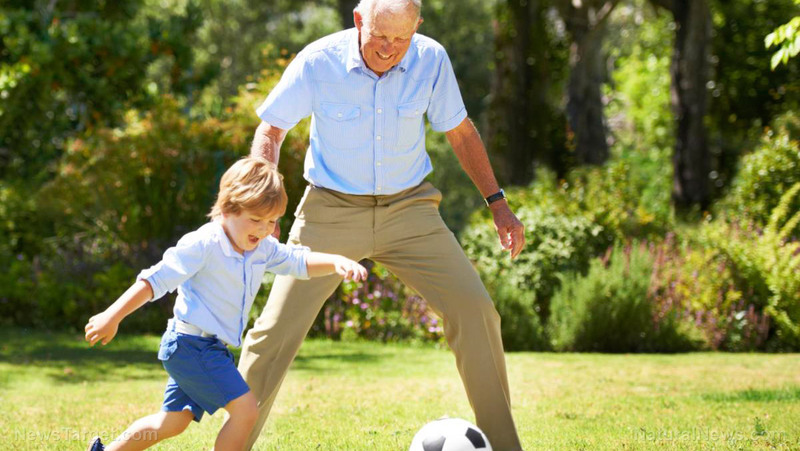 Researchers report that when a person turns 75 years old, he or she has 30 to 50 percent less nerves controlling his legs. This disconnects part of the muscles from the nervous system and renders them useless. Deprived of their normal functions, the muscles start wasting away. This is why older people’s leg muscles get smaller and weaker, and they become frail and disabled. This is not so with healthy muscles, whose nerves create new branches that can save detached muscle fiber. Older adults with large, healthy muscles enjoy this protective mechanism. It shields them from sarcopenia, or loss of muscle tissue, a condition found in 10 to 20 percent of people over 65. Seniors must see a doctor before embarking on a strength-training or exercise program. The doctor can help determine the right amount of exercise based on the senior’s health and fitness level. No matter what the exercise is, however, seniors must not plunge into it at once. They need a five-to-10-minute warm up consisting of walking or stationary cycling. Then, they can gradually raise the intensity of their workout every two to three weeks. They can start by squatting while holding on to a chair, wall push-ups, and toe exercises. Then, they can do bicep curls, step-ups, overhead presses, and other forms of exercise. They can add more repetitions once they get the hang of it. Seniors need not exercise daily. It’s best that they rest their muscles and let them recover after 48 hours. Seniors who lift weights must hold their breath while doing so. Otherwise, their blood pressure may suffer. They should not jerk or drop the weights. Instead, they should lift the weight for a count of three, hold it, then count three again to return to where they started. Ten to 15 minutes of stretching after each exercise session will lengthen muscles and aid recovery. Inhale for a count of five while stretching. Exhale through the mouth while counting up to five. Cheese — Seniors can enjoy a cheese sandwich, or sprinkle cheese on vegetables, spaghetti, soup and salad. They can also munch the cheese, or put a slice on top of crackers. Cheese sticks are good, too. Milk — This can be drank from a glass or a cup, or added to soups, cereals, salads, and others. Eggs — Seniors can take eggs for breakfast, or add them to salad, casseroles, and vegetables. They can beat eggs and include them in mashed potatoes and sauces. Nuts — The elderly can toss them into salads, cereals, yogurt, or over vegetables. They can also eat the nuts as is. Beans — Seniors can add them to soup, casseroles, and salad or have them as side dish. Seniors impart wisdom and a lot of love. Taking care of them will not only do them a lot of good. It will also benefit the generation that comes after them.